Innovation, quality, and an appreciation of the outdoors: The passions of our founder, Eddie Bauer, remain the cornerstone of the Eddie Bauer® business today. 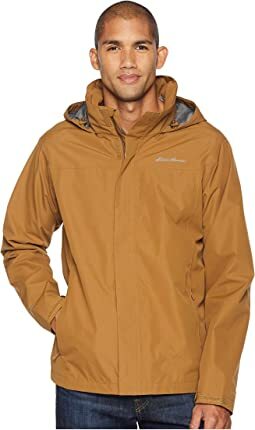 In conjunction with innovative design and exceptional customer service, Eddie Bauer offers premium-quality clothing, accessories, and gear for men and women that complement today's modern outdoor lifestyle. Whether it's classic outerwear, legendary down, or casual denim and khakis, Eddie Bauer offers a full range of styles to complete the casual wardrobe. Rediscover Eddie Bauer, a legend in American sportswear. Such a cute coat. I like the length and a size large fit well with a sweater layer under. I am 5 ft tall and about 140. Coat came to my knees which is what I was looking for. The cut is sliming and great for a rainy day when I want to look nice. So glad I found this coat. My other rain coat is ugly !! I LOVE THIS COAT! It’s warm but light weight, perfect for Michigan winters! I don’t sweat when I’m in a store, but still stay warm outside! Love the length, very comfortable, perfect fit, LOVE the two way zipper!!! Allows the coat to be fitted but able to unzip the bottom when I’m sitting!!! I’m always a medium in everything and I bought a medium and it fits perfect!!!!! My daughter is 5' 3'', 135lbs, medium coat fit perfect everywhere except sleeves were way too long. Other than that it was great. Great jacket. Love the material and fit. Light weight rain coat. Exactly what I was looking for. Can't explain this: both this and the "McKenzie" EB jackets are tight in my shoulders. I've never had this problem before but they both are being returned. Other than they didn't fit, they are beautiful and well made jackets. My dress size is small size. 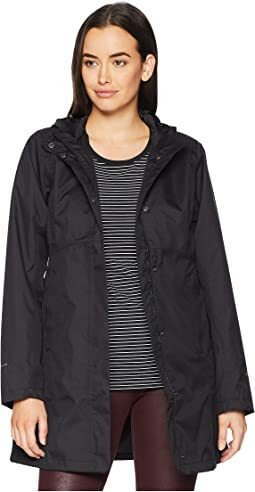 I ordered small size for this trench coat and it fit very well even I put a light down coat under this trench coat in 32 F degree and feel warm. This trench coat design is different than other trench coat. The design is make me look slim yet it can keep away the winter dry cold wind but you have to put sweater or Down underneath this trench coat for very cold weather. In addition to the double zippers, it also has buttons that you can skip the zippers and just button up and go. Very nice jacket. I like the length and hood. I would recommend this coat. Fit and size were fine but this is not the insulated version of the jacket that I thought I was getting, so back it goes. This jacket fits well and packs well. The jacket is probably fine, but it's not what I thought it would be. This jacket is not insulated. 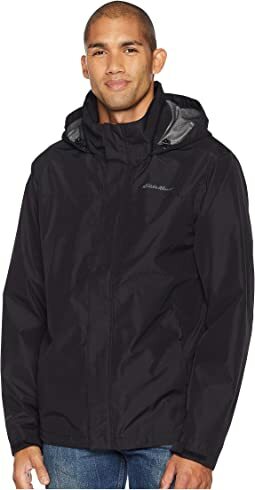 If you look at Eddie Bauer's website the jacket by the same name has a button-in removable insulated liner. This jacket does not, but I expected it to based on Eddie Bauer's website. I see now that the name includes "insulated" at Zappos, but the description does not include any information about insulation or a removable liner. Sad to return.